Let’s kick off a new year of way-too-convenient summary lists by getting the bad stuff out of the way. I like to think of myself as an optimistic person, content to look on the bright side of things most of the time, and this is more true in the case of popular media than anything else. Some say I am easily impressed and I will admit that it takes a lot for me to be genuinely disappointed by something. But that doesn’t mean it doesn’t happen. 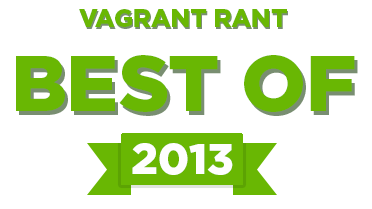 Across movies, music and videogames, what follows are the ten 2013 situations that gave me most cause to be disappointed. They cover deflating news stories, poor quality of products relative to expectations and relevant situations in general. While I doubt I’m alone with some of these, the list is still, naturally, quite personal. 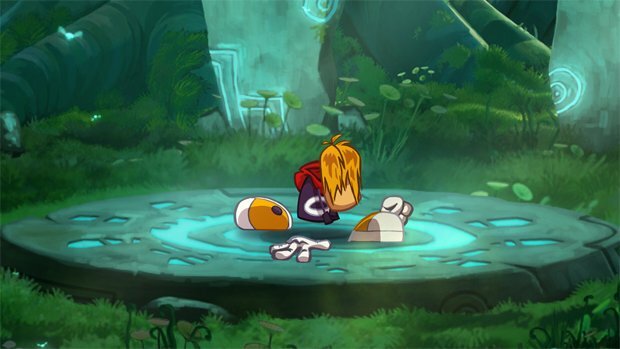 Rayman Legends ended up being one of my absolute favourite games of the year, and quite possibly my favourite 2D platformer ever, when it was released this September on PS3, Xbox 360, PC, Wii U and PS Vita. However, it was originally slated to be released in February as a very exciting Wii U exclusive. Set to be a strong argument for picking up a Wii U early in the console’s life, it was unceremoniously delayed by seven months so that versions could be developed for other platforms. While I’m all for seeing more people have access to the truly stunning game, the game was for all intents and purposes ready to ship in February on Wii U so the delay showed the cold and ugly side of modern videogame business. And as a Nintendo fan, I was crushed. The house of PSY, not to mention BIGBANG and 2NE1, had an absolutely stellar couple of years in 2011 and 2012, releasing a slew of K-Pop hits that caught the ear of not just Korea but the world at large. This, of course, peaked with Gangnam Style but also included the likes of Fantastic Baby, I Am the Best and Lonely, all cross-cultural mega hits. This gave fans of the prestigous label hope that YG Entertainment might one day rule the K-Pop world, but what did they do in 2013? Comparatively, not much. They reaped the financial rewards of PSY’s Gentleman, to be sure, but their artists and idols in general offered very little on top of that. There was no sign of BIGBANG (as a group anyway), Epik High or the supposed new girl group the company had been teasing for months, the grand total of one full album released by any of their major artists (and no 2NE1 album at all for the second year running), plus plenty of typical six month delays in single releases. What’s more, they were forced to sack one of their most influencial soloists, Se7en, when he almost single-handedly destroyed the South Korean military’s controversial “Celebrity Soldier” unit by flagrantly disregarding the rules. Given their past successes, it was a disappointing year in general for the company. I’m always keen to pick up a new Linkin Park release, and when it was announced that the band would be putting out their first remix album since the very memorable Reanimation a full decade ago I had reason to be excited. While I was in Japan I picked up said album, Recharged, and was promptly quite underwhelmed. While A Light That Never Comes proves to be a pretty strong lead single, I have to question the general purpose of the album, based on tracks from 2012’s Living Things, when so many of the songs already had such an electronic flavour to them anyway. Reanimation was novel back in the day because it gave a new and very different lease on life to some rather vanilla rap-rock tracks, but that same dichotomy can’t be seen here. Seeing multiple remixed versions of the same song throughout Recharged hardly helps. 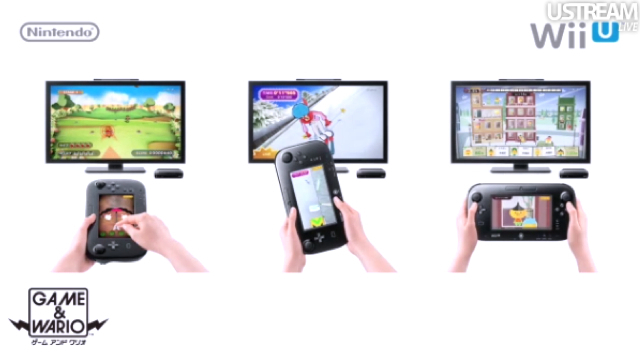 As a gigantic fan of Nintendo’s manic Warioware series I was plenty excited for the release of a Wii U entry in the franchise, but even after Game & Wario proved to be a departure from the “microgame” format in favour of twelve more standard minigames, I still had high hopes for some creative uses of the Wii U gamepad. I certainly got that when the game was released, in the form of some truly excellent individual offerings in both single player and multiplayer (you can read about them in my longest game review yet), but these made up only a fraction of Game & Wario’s content. Just as much of the game was bland and lacking in imagination, which really made its $80 price tag hard to swallow. It was a fantastic but largely unappreciated magician movie, The Prestige, that was largely responsible for making me more interested in film criticism as well as turning me into a massive fan of Christopher Nolan. Other similar films, like Neil Burger’s The Illusionist, certainly had their moments too, and to be honest I don’t think there are nearly enough of these kinds of movies. So I was just as excited as anyone else when I saw the trailer for Now You See Me, a modern magician movie packing a likeable cast and promising much in the way of twists and turns and misdirections. So I was thoroughly disappointed when the end result turned out to be a hammy chase flick that barely gave us time with its supposedly principle characters and bore an insulting twist. You can read my full review here if you so choose. While we’re talking about PS4 launch exclusives, it’s probably fair to say that in today’s first person shooter-saturated Western gaming climate it is Killzone Shadow Fall that makes the strongest early argument for the technical behemoth. The game looks phenomenal, especially in motion, and was looking very attractive to me in general as a day one game after I played and enjoyed Killzone Mercenary, my first ever Killzone game, quite a bit on Playstation Vita earlier in 2013. So colour me disappointed when the game revealed itself as a derivative sci-fi shooter that does very little in the way of creative combat situations and is absolutely horrible at telling you where you should be going next. I returned it rather promptly and played Resogun instead. I doubt I’m unique among internet commentators in saying this, but Man of Steel was a pretty disappointing film. It wasn’t a bad film overall, not in my opinion anyway, and I believe calling it so is hardly fair. However, there can be little doubting that it hardly nailed the essence or even the appeal of the Superman character, opting for a brooding, indecisive Batman analogue that just didn’t resonate with as many audiences as the studio focus groups doubtless suggested. Despite some impressively memorable action sequences, the movie’s screenplay also had some serious weaknesses. Given the considerable talent, not to mention reputations, behind Man of Steel, its failings are all the more apparent. Here’s hoping the sequel gets it right. 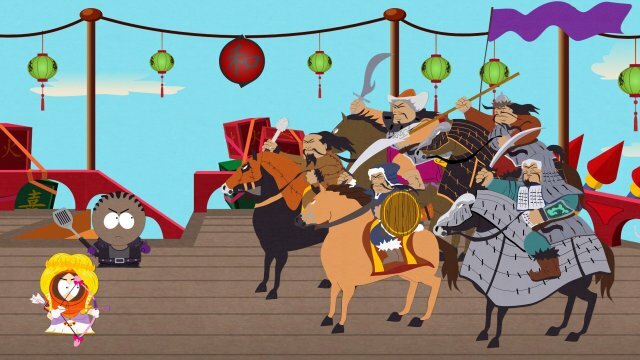 I hate sounding like a broken record, but I am still hyped for South Park: The Stick of Truth even though it keeps toying with my emotions so much. For two years on this blog I have harped on about the potential greatness of an old school turn based RPG based on the Paper Mario style of reflex commands and infused with legitimate South Park humour straight from the minds of the show’s creators. But by now it has been delayed four times, each time by several months and each time taking a sizeable chunk out of my peace of mind. To be fair, a change of studio ownership from THQ to Ubisoft is partly to blame, but it is currently slated for release in Australia on March 6th, 2014, a full year and a day after its first officially announced date. Just let me play you already. One of the coolest surprises of attending this year’s EB Expo was the seemingly sudden appearance of what appeared to be a combination of two of my favourite things in the whole world: Adventure Time and four-player co-operative videogames. 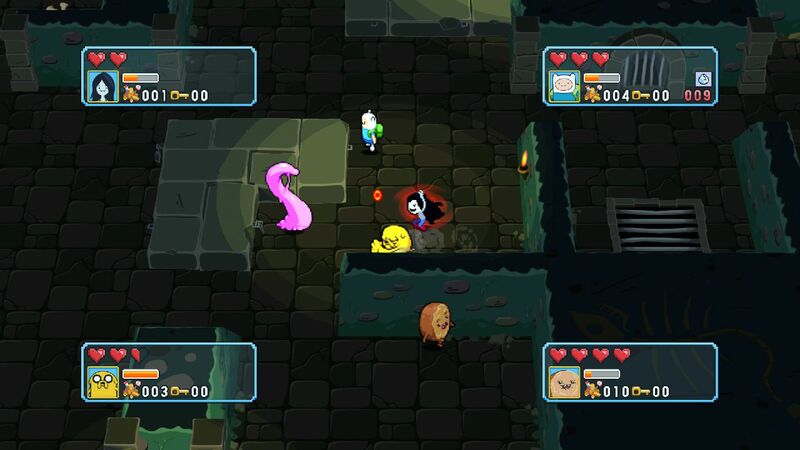 The 16-bit aesthetic of Adventure Time: Explore the Dungeon Because I Don’t Know! (yes, that’s its full title) caught my eye and my heart and the game quickly became one of my most anticipated releases. What’s not to love about dungeon crawling and loot grabbing as Lemongrab or LSP? Well, soul-numbing repetitiveness for one. Rudimentary gameplay and severe resource shortages for another. I tried and tried to give this game another go, convinced I could find something to like if I just stuck it out for another identical floor. Then the game crashed on me multiple times, and my profound disappointment was sealed. I’m not the biggest fan of Sonic games in general and never really planned to pick up this Wii U/3DS exclusive, but followed it with great interest anyway because I understand the need for the Wii U to continue to accumulate great games, particularly in the third party sphere. So the generally underwhelming critical reception the game met with hit me harder than I thought it would. This is a weird one, as I really enjoyed my slightly repetitive 25 hours with Project X Zone on 3DS. But towards the end of that time I put off doing quite a few other things to push for what I thought was the end of the game, Chapter 20, allowing me to write a review. Then I discovered that the game was actually twice as long as I first thought, and the prospect of another 25 hours of rinse-and-repeat gameplay shot my ambitions down in flames.